Ships tomorrow if you order in the next 18 hours 2 minutes. 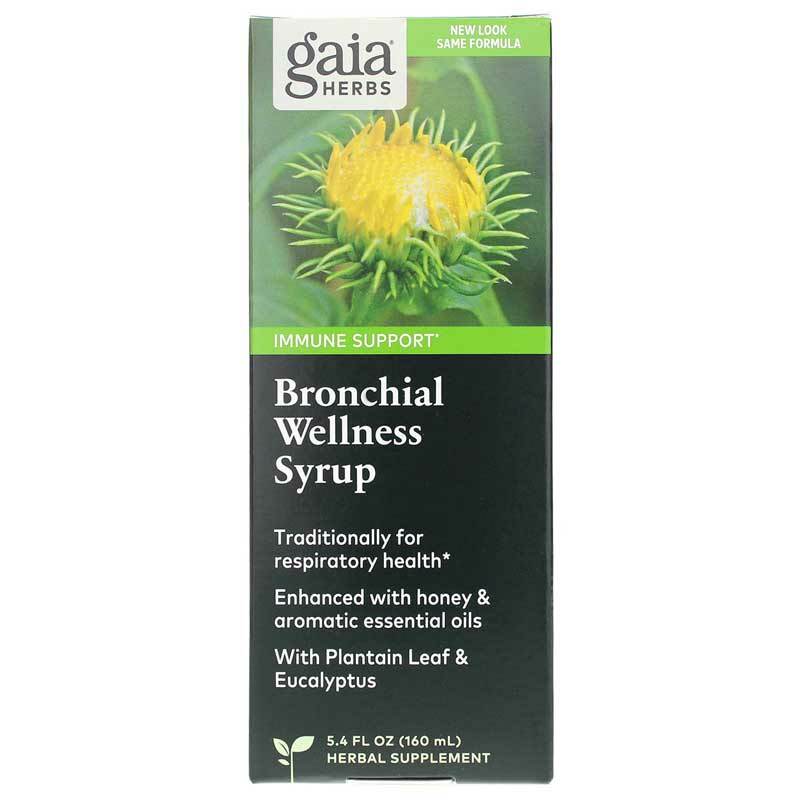 Bronchial Wellness Herbal Syrup from Gaia Herbs is designed to provide soothing support for respiratory health. For sustained use of this formula, adults can take two teaspoons twice daily. For acute use, adults and children over 12 years of age can take one teaspoon four times a day. For acute use, children aged 6 -12 years can take 1/2 a teaspoon four times daily. Other Ingredients: honey, water, and lemon juice. 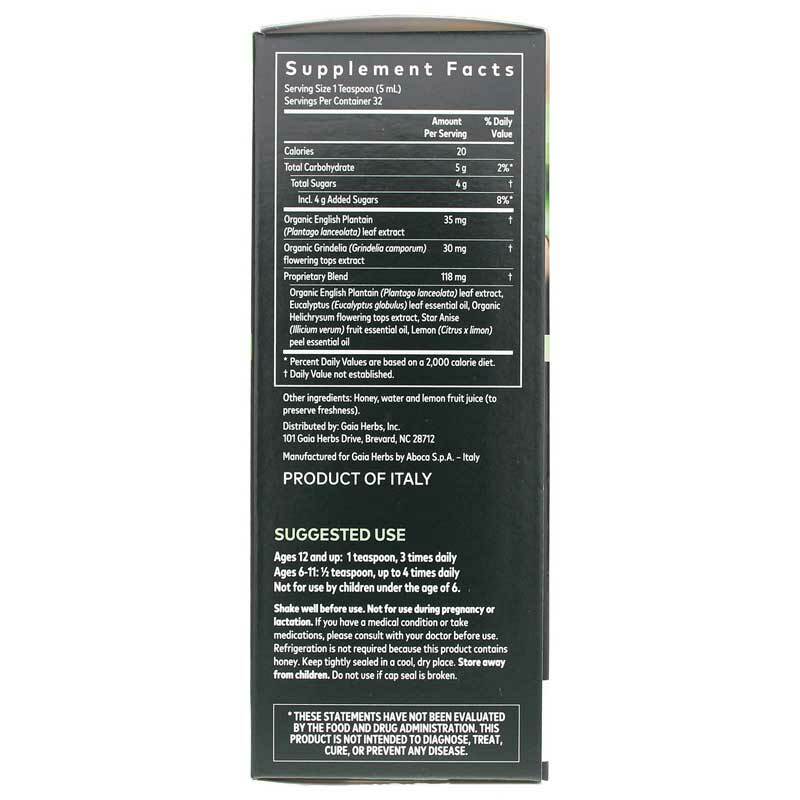 Adults and Children over 12 years: 1 teaspoon, 3 times daily or as recommended by a healthcare professional. 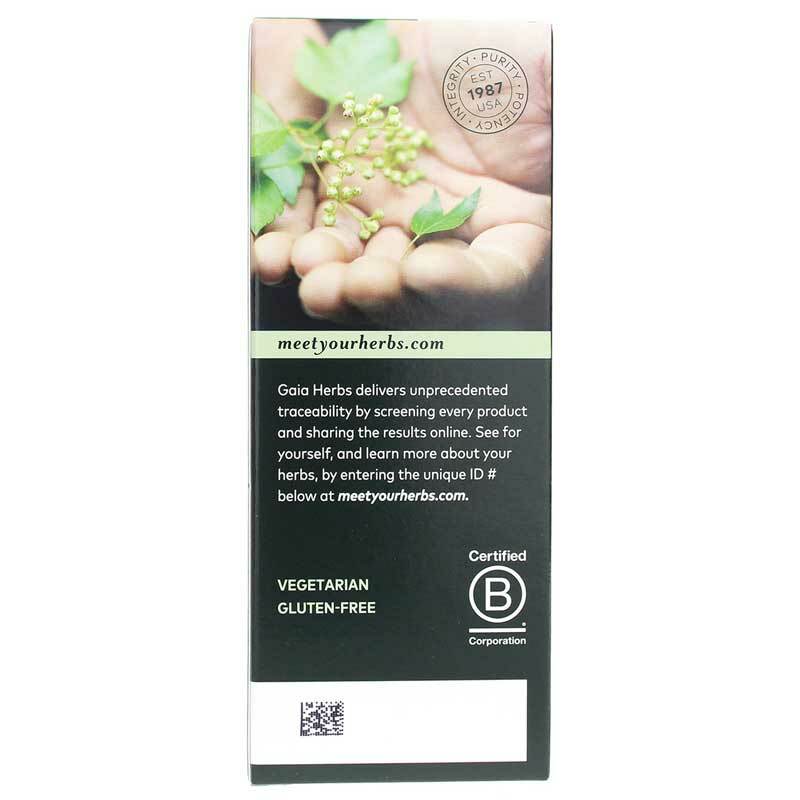 Children 6 to 12 years: 1/2 teaspoon, up to 4 times daily or as recommended by a healthcare professional. This liquid may also be dissolved in warm liquids such as water or tea.